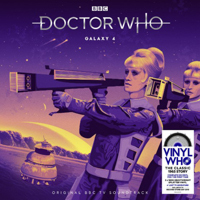 Also available to order in the UK from www.zoom.co.uk (10% off with first order available), www.zavvi.com and www.hmv.com. Today BBC Studios is pleased to announce Doctor Who Season 19 as the next release in the Doctor Who: The Collection range. 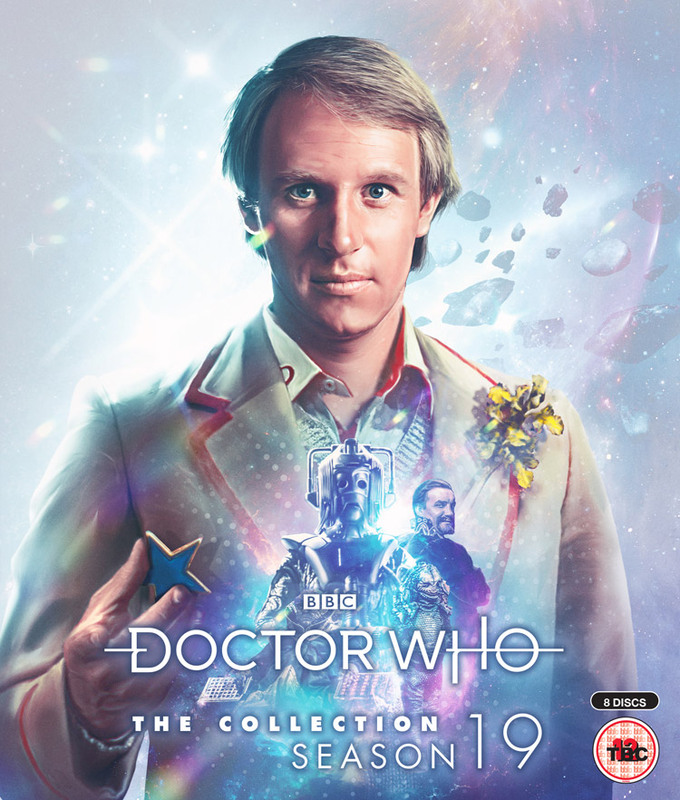 Season 19 is Peter Davison’s first series as the Fifth Doctor and this edition follows the success of Tom Baker’s first season on Blu-ray. To be released on the 19th November 2018, this collector’s edition also has a limited run. All 26 episodes are being remastered from scratch by Peter Crocker and Mark Ayres. With this season’s original 16mm film elements still in existence, the location material can be presented in true HD, with studio material upscaled. Lee Binding is again providing stunning packaging design and Pete McTighe has written extensive booklet notes and is the content consultant for the title. 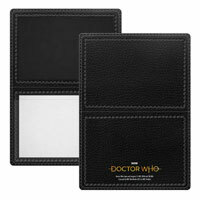 Doctor Who: The Collection is executively produced for BBC Studios by Russell Minton. Hopefully since this release includes the time crash special it will be the properly version and not the unfinished one like how it has been released on many versions of series 4 before. hmv have now advised me the release date has changed to 10/12/18. I know, i think there’s a problem with the boxsets because first it was 19th November, then 26th November now 10th December. Yeah they’re having difficulty with something, most likely the pressing. Maybe they’re pressing up more discs to meet demand? At least it gives me a bit longer to save up the money to buy the box set. Got my email from amazon today saying the same put back to the 12th December. I got the same email from Amazon today. I don’t mind them putting it back a little, providing they have ironed out the silly mistakes this time. I’d rather they take their time on them and get them right. Don’t mind as getting it for Christmas. Do people display the season 12 set with the cardboard sleeve or without it, just curious? I keep mine with it. I keep it on but wondering if I should set it aside as I get more. I am tempted to not display it, as I had to get the Australian discs, and its the only part of the boxset that has anything to suggest its not the UK version. a moderator simply for giving constructive feedback about a price. RIDICULOUS! Sorry, just saw the comment rules, did not mean to say that showmasters is not as good as this, just got caught up in the moment as i was quite angry with them but ok, they’ve sorted it, Showmasters love ya! all learned our lesson from season 12. Hello everybody! I’ve been a busy girl making plans for my immenent trip to the UK. I’ve been asked to do a voice over in Oxford for the BBC with Lalla Ward on our experience while doing “The City of Death” in the Doctor Who series. 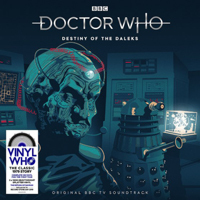 The story is still one of the most popular and the beeb are going to release it in a Blue-Ray box set with the two of us speaking over some of the scenes. It should be fun as I don’t remember anything. It was a very long time ago. Given the age of the people involved in makes sense to film/record as many extras as possible. Great to hear Season 17 is being worked on. I’m so glad Tom is still with us and able to participate in these blu-rays. And I mean this with the utmost respect. Behind the sofa with Tom is a joy to watch on the season 12 boxset. Hopefully he’ll be able to do the future sets. It looks to me like they’re going to have a fourth doctor season in the middle slot every year as the centrepiece of each year’s lineup, bookended by two seasons with other doctors. There are 6 fourth doctor seasons left and subtracting season 19 and all of the black and white era you are left with 12 other seasons. I think the order would probably go 18, 17, 13, 15, 16, 14 if they are already working on 17 and 18, and assuming they spread the Hincliffe seasons out as much as possible, and all the other seasons would be put around those. 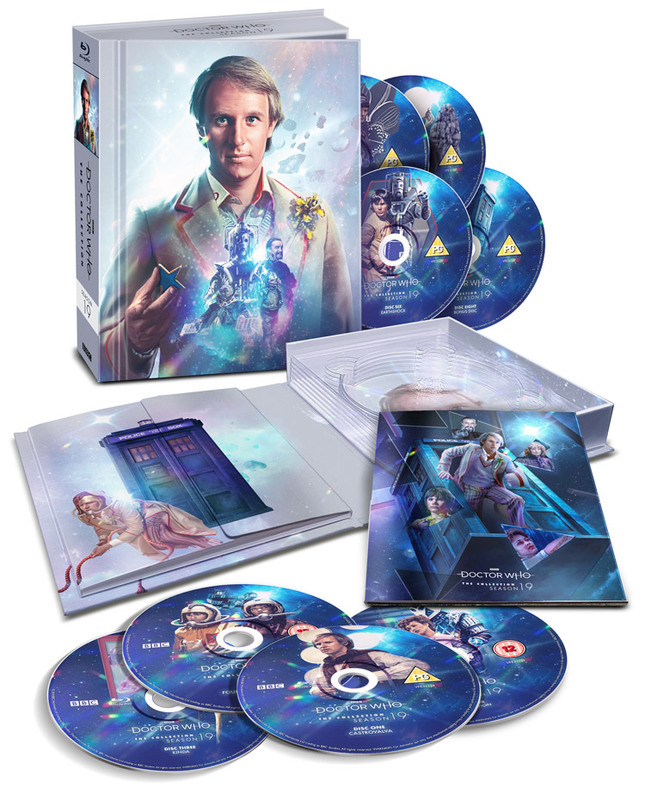 Hey guys, i have just sent an email about the faulty discs on doctor who season 12 boxset, once they send an automatic response, do you have to reply to that email or just leave it as it is? That’s the only email you’ll get from them, unless there is a problem with the info you sent. That was the only email I got from them and then received my discs 4 weeks later. You’re a bit late with this Dr. 1963. Still, it ought not to take as long for you to get the replacement copies mate. This has been floating around. Apparently this was taken when tom Baker and June Hudson was recording season 18 extras. It’s tom’s season 18 outfit and there is costumes of the marchmen and a Foamasi in the background. OH NO COARSE LANGUAGE…oh Australia. 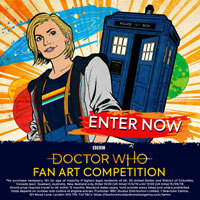 Has anyone here decided to go the streaming route on Amazon for series 12? I am fed up waiting for a re-release of series 12 on Blu-Ray and have cancelled my pre-order of season 19 as no guarantees I will be able to get season 12 and complete the collection, so not going to commit to the physical media now. The streaming option is only £25 a season it seems. Anyone tried it and if so what’s the quality like? You should grab the American set if you really want to watch it. Amazon US is getting stock on the 11th of November. I hope they ship to the UK. I don’t know if it’s region locked or not. Just play it on your region free player if you have one. I did the same thing and purchased from Amazon video, far more convenient especially as have all the DVDs anyway, and comes with all the extras too. The only issue was that there wasn’t a HD option, thanks BBC, but the same can be said of the recent Hitch Hikers release and they were shot in SD anyway. Is the effect shot reverting to the original really a major issue? ts a little jarring but at least the other errors are fixed, Will BBC issue another replacement or just leave it now? Perhaps it was just not produced. The Season 12 Boxset? I’m disapointment it wasn’t fixed and glad I returned my boxset for a refund. Lessons will be learnt, as was the case with some previous DVDs which had errors and were re-pressed or released as Special Editions or Revisitations. 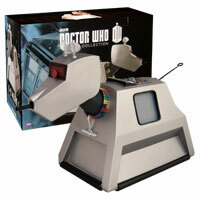 Sometime ahead Season 12 surely must be re-released or some of the serials released again. It’s a shame this happened but we wait in anticipation for future boxsets..
Gordon wondering if you have any thoughts? To me this is so minor that it is hardly worth the agro. The typo and mis mixed audio and overlaps were more jarring for me. I can’t see them replacing discs for a third time just for one effects shot. 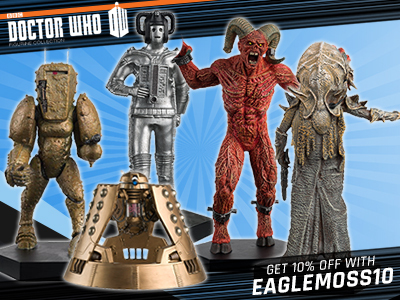 Remember they’ve already reissued Revenge of the Cybermen twice. Personally, I’d prefer to watch them as they were originally made anyway, so one effects shot isn’t worth the hassle again for me. The ones that mattered were dealt with. Completely agree with you Neill. The audio on the original Sontaran Experiment disc, and silly misspelling of Michael Wisher’s name was far more of an issue for me than one effects shot. I can live with it. I asked bbc dvd support about the one effect issue on the replacement disc 5, finally got a reply today saying the replacement discs sent were the correct ones and other versions are planned. Rip Derek Sherwin, one of Doctor who’s must under rated talents. I hope Season 7 and 13 are not too far away, I’m really looking forward to those when they appear. Ambassadors will need a lot of work to get it up to anywhere near blu ray standard so I can see season 7 being left till later on. Maybe even the last colour season released due to how poor a state ambassadors is in. If the rumours of season 18 next year are indeed true I can’t see season 13 turning up till at least 2020 at the earliest. The current season 11 is set in 2018. How good would it be that the final enemy was Salamender played by David Troughton? Any word on a rerelease of season 12? There’s still a problem with the CGI on the S12 replacement disc of Revenge Of The Cybermen isn’t there? Season 19 UK release is now delayed by a week – 26 November. I don’t think that error will ever be fixed tbh, they’ve already re-replaced the revenge disc once and if they fixed it for a rerelease and didn’t send out replacements for everyone who already has the set i can’t imagine people being very happy. Any news on futures sets Gordon? 10 18 and 26 are the three rumoured sets for next year. Christopher bidmed has said on twitter that he has done a meglos interview which pretty much confirms season 18 is being at least being worked on. I certainly will get two of the three rumoured for next year. Not the McCoy, can’t stand him. Just one thing, three releases a year it’s going take along time to release all the seasons . Some of us are notso young anymore! 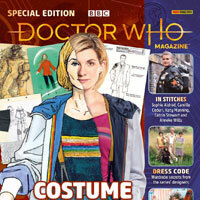 Love new who by the way. The problem is they can only realistically do restoration work for 3-4 seasons a year. @Prof Horner, actually, had Sylvester played the Doctor exactly like Radagast the Brown from the Hobbit then he may have made my top 3 Doctors… However he is in fact my 2nd to least favorite. Absolutely loved him as the Doctor in the 8th Doctor Film. Age has made him a better actor, hate the rolling “R’s” and the direction they ran in those last 3 seasons. 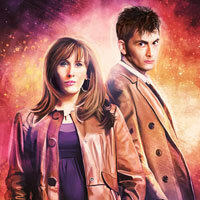 Never cared for Ace either… Or Donna Noble for that matter. The fact that anyone likes either of those companions confuses me to the point of astonishment. A Season 26 set is apparently happening December 2019. Corey Pullman’s done an interview for The Curse Of Fenric. Wonder if season 21 will have the fifth and sixth doctors on the cover, since Colin Baker’s debut story is at the end of the season? Most likely nothing confirmed since they’re working on 13, 18, and 26. As well as 19 and 10. Colin’s first episode will be tacked on to his first season . Except it should be on Season 21 as it debuted with it. I was editing a version of the sixth doctor’s regeneration and something came to my mind. In a future blu ray set of the season 23 (even to raise some sales) could make a post-regeneration scene run at Colin Baker? is it possible that once the lost episodes are found, the animated disks are updated or replaced? 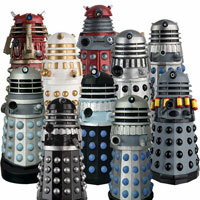 What about The Five Doctors? Will it be released separately or as part of season Twenty? Doctors might be together with the enemies in the Art. Smaller but there are. I’d imagine it just be the Fifth Doctor on the front, but maybe the first four Doctors be on the booklet with the fifth. 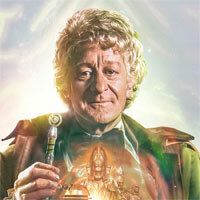 The sixth doctor should be on front with the fifth on season 21 since he debuted at the end. Season 4 should have Hartnell with Troughton but no complete stories in season 4 at moment. Gordon I just want to say thanks for the great DVD and Blu-Ray information you give. n a future set of season 10, who could put in behind the sofa? And in an hour’s interview? and in the “to select audio navigation” audio at the beginning? Could they use unpublished archive interviews with Jon Pertwee? My guess is we’ll probably see Katy Manning, John Levene, etc for Behind the Sofa. They could also supply the voice for the Audio Navigation announcement. Or they’ll just have the generic voice like the DVDs. John Levine doesn’t like doing group interviews/chats (just look at his commentaries all done alone) so probably Katy manning Terrance dicks and if they can get him Sean pertwee (just like they had Sadie miller representing Elizabeth Sladen in the season 12 set) for behind the sofa. As for the 1 hour interview I’d go for either Katy manning or Terrance dicks. I’d also go for Katy doing the audio navigation. Thanks Gordon. Well, I’m learning something new everyday! All these years I’ve been into DW (since the ’70s) and I had no idea John Levene didn’t like doing group interviews/chats. I had wondered why he did his commentaries alone, but thought maybe it was just down to him being unavailable at the same time as others. Do you know why he doesn’t like doing group chats? He always seems like a pretty cheerful chap. Oh, and I’d love to see Terrance doing Behind the Sofa. I really wish Barry Letts was still with us, as I’d love to see him doing it too. Has anyone ever thought of using the deepfakes technique to put Hartnell in the five doctors? So upscaling is necessary because the 625-Line masters can not be scanned? As far as I’m aware. That’s Pretty much why. There is no detail there to scan in hd. I’ve heard that they’re close to finding The Web of Fear episode 3 but I think that they haven’t animated Marco Polo just cause there is a lot to animate, the most that they animated at once was probably Power of the Daleks but that story was released on its 50th anniversary and was the first story of the 2nd doctor and the only missing first story of any doctor. Does anyone think that they may release the McCoy stories in one go? Given that there is is only 42 episodes ? I would love to see the TV movie get the full HD treatment. Wasn’t very impressed with the upscaling job they did on the blu-ray. I’m guessing they did the best with the elements they had to work with though. Who actually owns the rights to the film prints? Is it Universal? McCoy full box set already exists in DVD so probable, I suppose. What do you mean by the wilderness era? Surely they won’t release all those BBV and Reeltime movies in a blu ray box set. Universal do have the rights to the TV movie film reels but whether the actual film reels still exists and where the film reels actually are is if it still exists is a mystery. The restoration team had nothing to do with the TV movie blu ray so I’d really like them to get a crack at it. The wilderness years won’t have the bbv or real-time movies. It will have stuff like more than 30 years in the tardis the Shaka maybe the McGann shada (if it’s not on the TV movie disc) the doctor who night material any blue Peter footage and any clearable bbc footage. I’d put real time in a season 22 or 23 set and death comes to time in a season 25 or 26 (maybe survival) as it fits more that. It won’t include dimensions in time (too many legal and financial hurdles for it). Maybe will include curse of fatal death but I’m unsure of the legal or financial clearance issues in 2018. According to it’s Wikipedia page, The Curse Of Fatal Death may end up on DVD when there’s nothing else. If the wilderness years rumour is.tue would Paul McGann share cover with McCoy? Wonder if they’ll reissue them again? Third time lucky! Personally, I’d rather watch them as they were originally made anyway, but they should have got it right by now! They still haven’t corrected the model shots?! Awful. Did they correct the other mistakes on the disc? Some posters on a forum at bluray.com were sent the faulty discs or 2 or 3 sets of the replacements. The ‘fixed’ discs can be identified how – eg do they have different numbers to the original (Version 2etc)? Thanks for any help on this! I got my replacement discs in mid October. Does it really cost so much to produce animated reconstructions? I’ve seen a few people complain on different sites about the animations, and how they look bad or basic. But, they don’t realise how much work and cost goes into these things. They’re not working with a Disney budget, so we’re never going to get the most hi-tech animations. They can only do so much with the money available. We’re lucky that they even get animated at all! How many other shows that the BBC wiped get animated episodes? The answer – None. I’m just happy that we get some sort of visual cues as to what’s going on. Fair enough – but wrong about the time and cost though? People need to stop complaining about the animations is my point! Those kind of “animations” always make me wish I’d just watched the episode with my eyes closed.